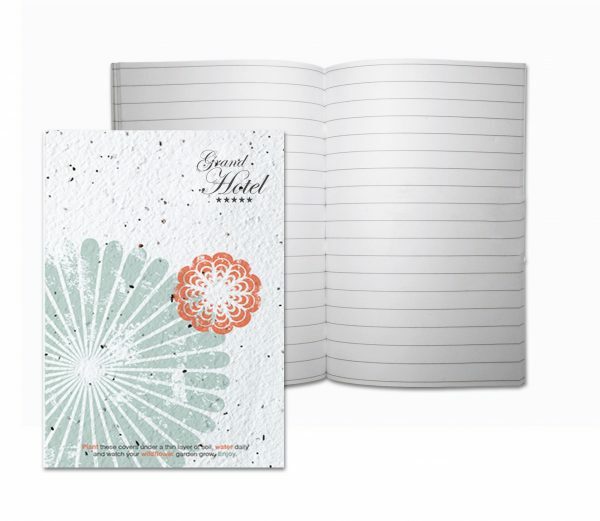 Eco meets function with our new seeded paper workbook! This workbook includes a stitched wildflower seeded paper cover and includes 48-50 lb. lined or blank inside pages. Includes a full colour imprint on the cover and back.